Two Canadian First Nations women, Jane Ash Poitras and Rebecca Belmore, have their art on display at the moment. Both women are concerned about the effects of history on their culture and heritage. Both mix politics into their art. How do you rise out of oppression while preserving your heritage? What are the issues surrounding acculturation and do you deal with them? But as you can see, they approach their art in very different ways. 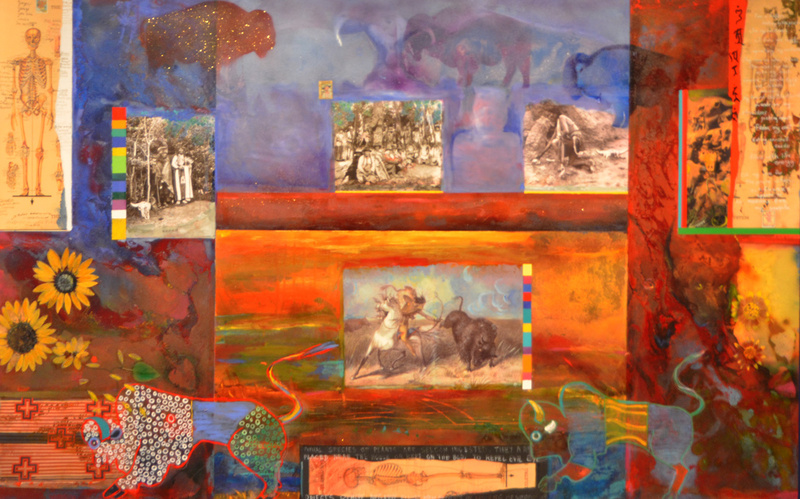 At the Royal Ontario Museum (ROM) are four paintings by Jane Ash Poitras (b. Fort Chipeywan Alberta 1951). Poitras is Cree. She was orphaned at the age of 6 and raised by a Catholic German woman in Edmonton. Before turning to art, she earned a BSc in microbiology. below: ‘Buffalo Seed’, mixed media, 2004. 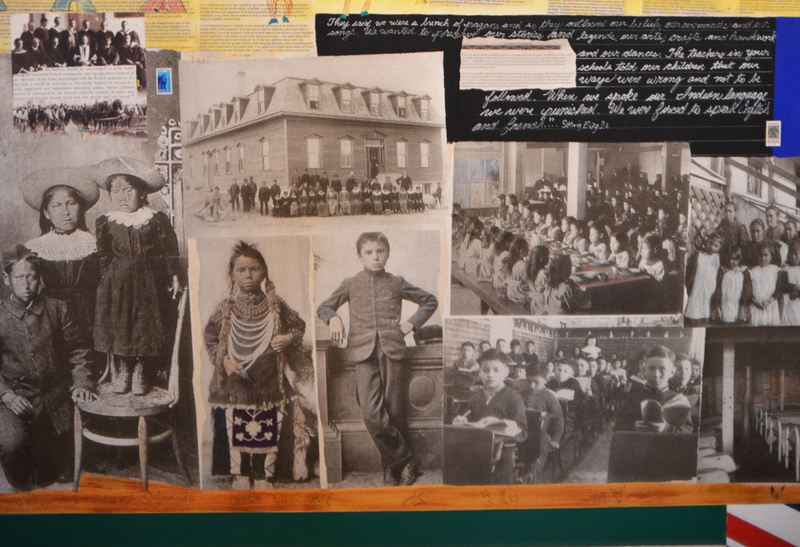 Old black and white photos are used in this collage along with sunflower petals and fabulous colours of oil paint. below: “Potato Peeling 101 to Ethnobotany 101”, Placed side by side, these two large works serve to contrast traditional indigenous knowledge of medicinal plants with the teachings imposed on indigenous youth by the residential school system. 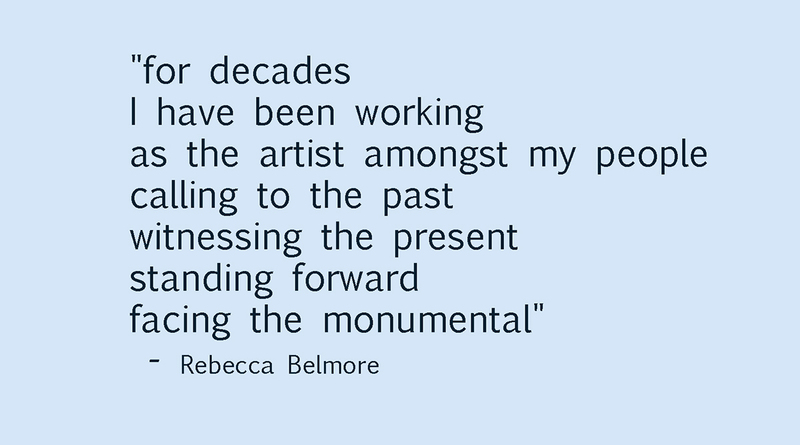 “Facing the Monumental” is the title of the Rebecca Belmore exhibit at the Art Gallery of Ontario. It covers three decades of her work and includes photographs, sculptures, and videos of her performance art. Her art is more conceptual. Belmore is an Anishinaabe woman from the Lac Seul First Nation. She spent her childhood in northwestern Ontario with her maternal grandparents where she spoke Ojibwa. For high school, she boarded with a white family in Thunder Bay. Many First Nations communities are too small to support a high school so students are sent to live elsewhere while they complete their education. It is a system with many problems. It’s probably fair to say that the whole “system” is problematic. below: ‘Sister’ 2001. An ambiguous image – why does the woman have her arms stretched out? What is happening here? 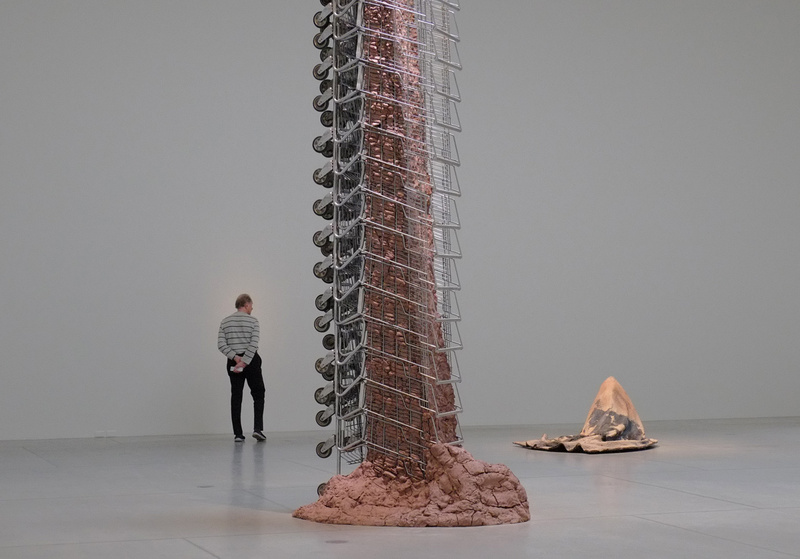 below: “Tower”, 2018. A condo tower of shopping carts around a clay core – the carts symbolize the homeless. below: “Mixed Blessing”, 2011. Two cultures. Blending? Fighting each other? Hiding in embarrassment? below: And last, “Fringe” 2007. 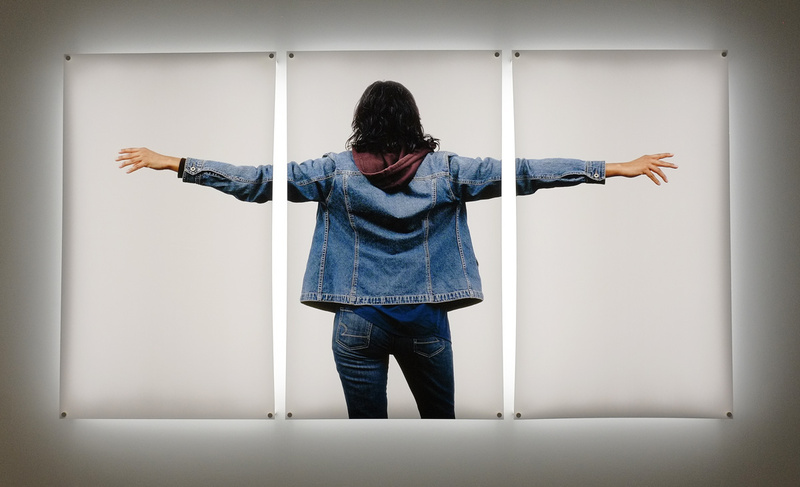 Like two of the three artworks above, Belmore uses the body to address violence against First Nations people, especially women. The image draws you in and repels you at the same time. You don’t want it to be real but there is the possibility that it is. If it makes you feel better, the diagonal scar is created using make-up and what looks like blood are strings of beads. 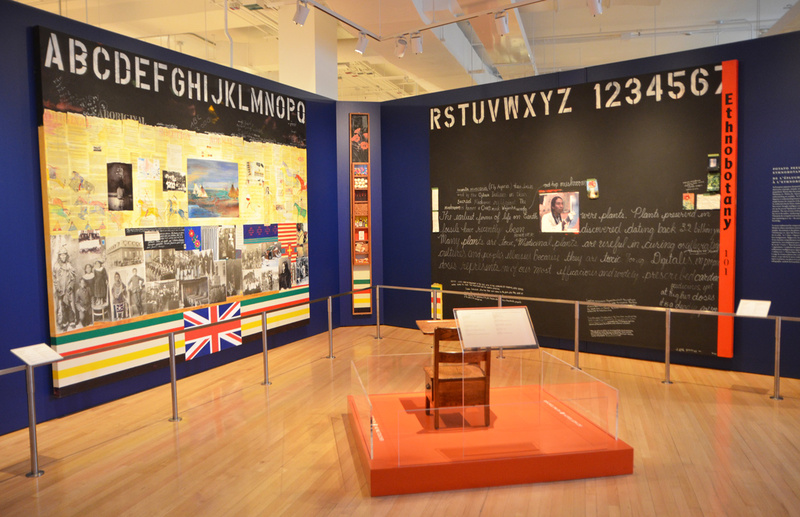 Jane Ash Poitras is at the ROM until April 2020. 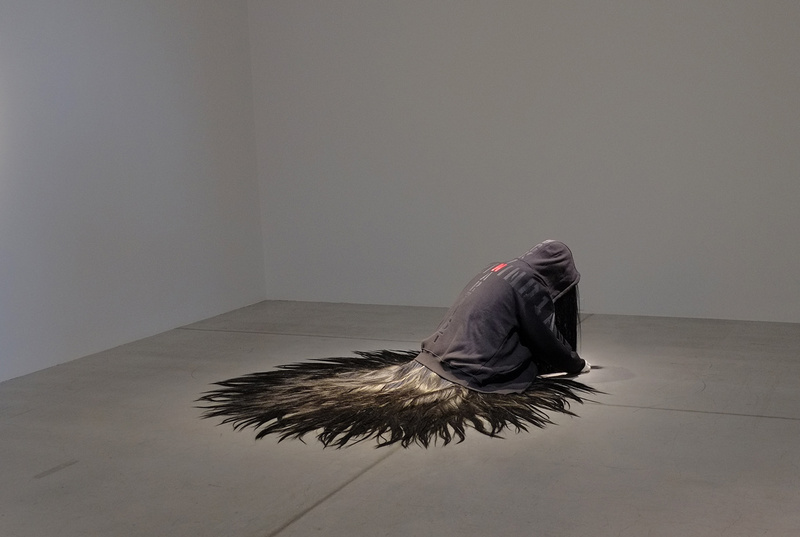 Rebecca Belmore is the AGO until 21 October 2018.